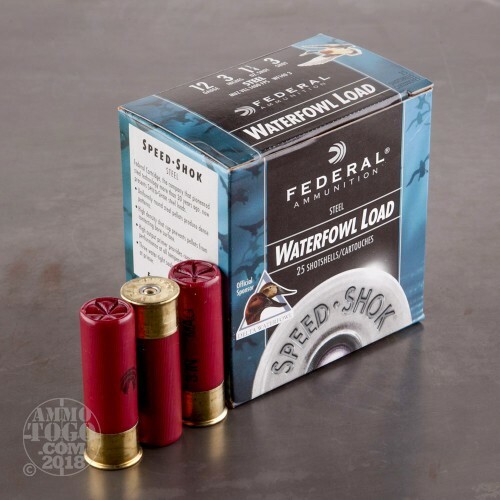 This 12 Gauge shotshell by Federal is loaded with 1 1/4 ounces of #4 steel shot. 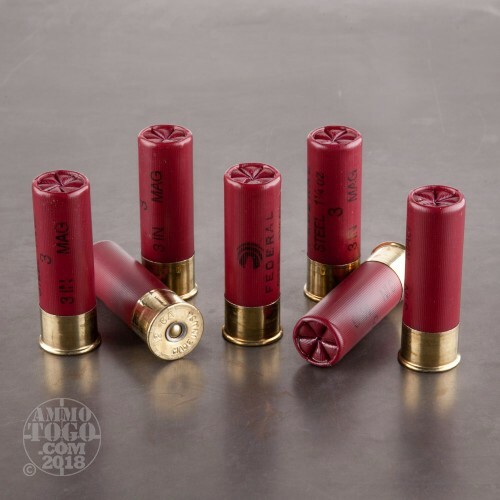 That makes it perfect for duck hunting, especially given that this shell’s shot is made of nontoxic steel which won’t pollute beautiful wetlands or invoke the ire of otherwise friendly game wardens. Steel’s lesser density means it doesn’t have the momentum that lead has, which this shell compensates for with its fast 1,400 fps muzzle velocity. It packs the wallop a distant mallard needs to be persuaded to come on back down to earth! 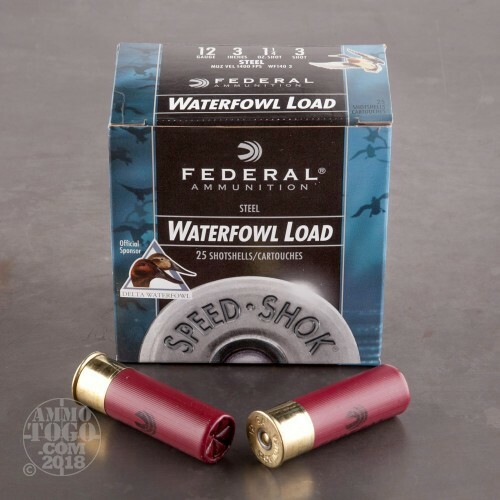 A Speed-Shok shell’s shot is exceedingly round, enabling it to maintain a tight pattern as it travels upward. 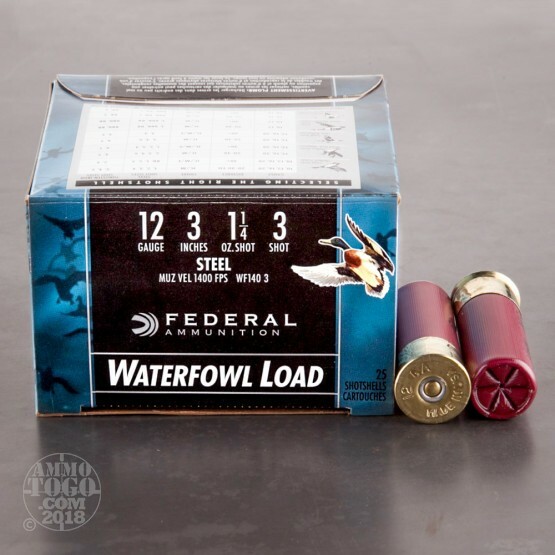 This shell additionally features an efficient wad with a gas sealing flange to further improve its pattern, as well as a high output primer which won’t fail to work when exposed to the wet and cold environments that ducks like to hang out in. And for a price like this, you can have more ducks in your fridge than the Peking River during rice harvest season!